Big data will transform approaches in healthcare that have long defined the industry, say experts. The health sector is on the cusp of a step change that will benefit the industry through the better use of data and advances in analytics, says experts. 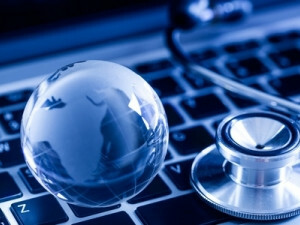 South Africa has estimated a R350 billion annual health care industry, with the department of health moving towards e-health solutions in line with the World Health Organisation guidelines, says Vanessa Korb, business development at Keyrus SA. However, despite the pervasive global trend towards digitisation, there is still minimal big data and business intelligence activity in the medical ranks which could relieve an already hampered healthcare sector, adds Korb. Jon Tullet, research manager for IT services at IDC SA, says big data is becoming fundamental to healthcare, starting with insurance and working its way through healthcare delivery, taking in emerging fields like cognitive computing and IOT along the way. The reality is cognitive computing and AI are going to revolutionise the business world and would have an enormous impact on digital transformation, notes Tullet. "Big data is becoming really important in most industries, but healthcare is definitely one of the key verticals." In SA, Discovery is a good example of a company using data analytics by gamifying the healthcare insurance space through its vitality programme, says Tullet. The programme is a wellness system that tracks everything from physical activity to nutrition of a person. For example, customers earn points by logging their workouts with fitness devices like Nike+ and Fitbit. According to Siemens, big data will transform approaches in healthcare that have long defined the industry. "No longer will we pool data from individuals to predict what happens at the population level. Instead, population data will be so comprehensive that it will accurately predict what happens to an individual patient." Arguably no single factor will transform healthcare as much as personal genomics, it adds. Through the better use of data and advances in analytics, precision healthcare promises a more personalised approach that will significantly improve the outcome of even the most serious illnesses, says Wolfgang Mertz, CTO EMEA for Healthcare, life sciences and HPC at Dell EMC Isilon. Many countries have national collections of genomics data, such as Genomics England, which is funded by the National Health Service, says Mertz. Using this data, patterns can emerge across populations that can be used to inform treatment, he adds. Current business trends point to data as a supreme asset across all industries - with the multi-faceted medical industry lending itself to being a highly data-driven sector, says Korb. "While the volume of healthcare data is growing at an exponential rate, limited actionable insights leave healthcare organisations data rich but information poor."